Goshen College, a nationally ranked liberal arts college nestled in the south edge of Goshen city, has long been hailed for its active emphasis on peace and justice issues, experiential approach to education, and their highly lauded international study and service term, which is ranked as the #4 best study abroad program in America. But some of Goshen’s most amazing attributes are the ones you’ve never heard of. For instance, did you know that GC’s concert hall has hosted Grammy winners like Bobby McFerrin or Tony Award winners like Audra McDonald? Or that the campus radio station has been named the best college station in the nation twice by the Intercollegiate Broadcasting System? Or (yes, there’s more!) that students and faculty in the Biology Department are conducting in-depth research on harnessing biofuel from algae? Really, these examples just scrape the surface. Read on to discover more remarkable facts about Goshen College that will make you want to wave your Maple Leaf flag higher than ever! Did you know that Goshen College has been named Indiana Television School of the Year four times in the last six years? The college offers a broadcasting major and minor and gives students the opportunity to get behind the camera and in front of it through on-campus experiences. There’s Goshen College’s award-winning television news program, The Correspondent, for students interested in TV news. And for those interested in film and media production, there’s the college’s full-service professional video production company, FiveCore Media. When you think of the best TV school in Indiana, you may think of our bigger neighbors to the south, but you’d be wrong. Sorry, Letterman. Have you ever seen a race-walking event? Have you ever tried to race walk? Well, 1) it’s super hard to do correctly and 2) when done correctly, it’s super hard to do fast. Race walking is a mystery wrapped in an enigma –– an enigma that GC coaches and athletes have mastered. Goshen College is currently home to two All-American race walkers: Kayla Gray and Abby Dunn. Nine GC Maple Leafs have earned All-American honors at some point during their athletic careers. From 2007 to 2015, 11 race walkers have qualified for nationals. As of 2015, the Maple Leafs had a total of 34 All-American honors and 50 national qualifiers in the race walk, with many of the athletes doing each of those more than once. In 2007, GC’s Tina Peters was the women’s national race walk champion, both indoors and outdoors. Goshen College has one of the best study abroad programs in the country. With 80 percent of the student population participating in its unique semester-long Study-Service Term (SST), Goshen College is committed to producing leaders who are ready to change the world. SST isn’t the only option for studying abroad at GC, however. May Term classes that currently or have recently been offered include Business in China and Business in Spain, Nursing in Nepal, Ecology and Sustainability in the Indian Himalayas, Arts in London, Bible in Greece/Rome, Communications in Kenya, Ecology in Kenya, Economics in Ecuador, History and Culture in Spain and Morocco, Anabaptist History in Paraguay, and Marine Biology in the Florida Keys. You can read stories written by students and alumni by visiting the SST Stories Project website, a project of Goshen College. The Amish population has a long history in this region. Have questions about the culture of the “plain people”? Experts at Goshen College have the answers. History professor Tom Meyers, director of international education and associate academic dean at GC, has written and lectured extensively about the Amish. Former History Professor Steve Nolt appeared in the PBS documentary “The Amish” and has appeared on C-SPAN to lend his expertise. 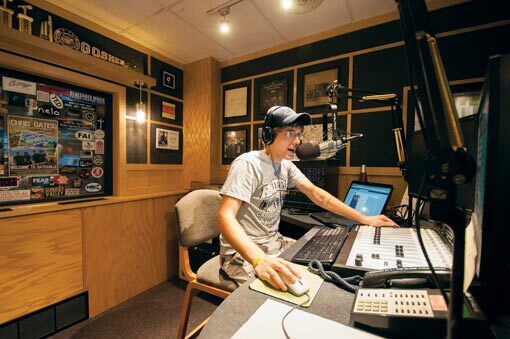 Goshen College’s on-campus radio station, 91.1 The Globe, has made headlines for being nominated for “Best College Radio Station in the Nation” every year for the past seven years –– and being crowned with the title twice, the first ever repeat winner. For the fourth time in five years, The Globe has been named Radio School of the Year in the Indiana Association of School Broadcasting’s (IASB) college broadcasting competition. With the familiar tagline, “Your station for culturally progressive music,” The Globe features a largely Americana music format. In addition to hearing round-the-clock tunes from up-and-coming Americana artists, listeners can also hear GC and local high school sports coverage, tune in to Sunday morning broadcasts from College Mennonite Church services, and hear live broadcasts from concerts at Ignition Music. The station is also a training ground — GC students aiming for careers in radio gain invaluable hands-on, on-air experience at The Globe. In fact, they did. Listening to 91.1 The Globe isn’t the only way to enjoy a top-shelf music experience via Goshen College. 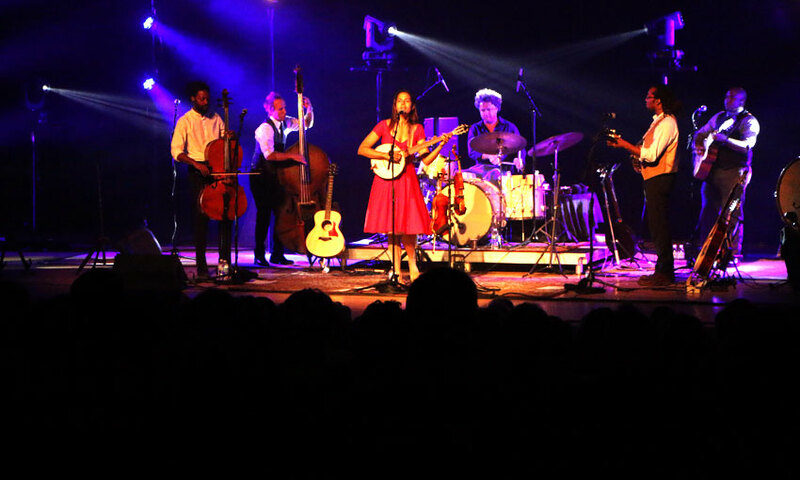 World-class musicians and performers regularly visit the Goshen College Music Center’s Sauder Concert Hall as part of the college’s Performing Arts Series. The list of past and upcoming performers includes Bobby McFerrin, Emmylou Harris, Wynton Marsalis, A Prairie Home Companion, The Wailin’ Jennies, Bela Fleck, Indigo Girls, Lyle Lovett, Sweet Honey in the Rock, Gillian Welch, Nickel Creek, and Carolina Chocolate Drops, to name a few. 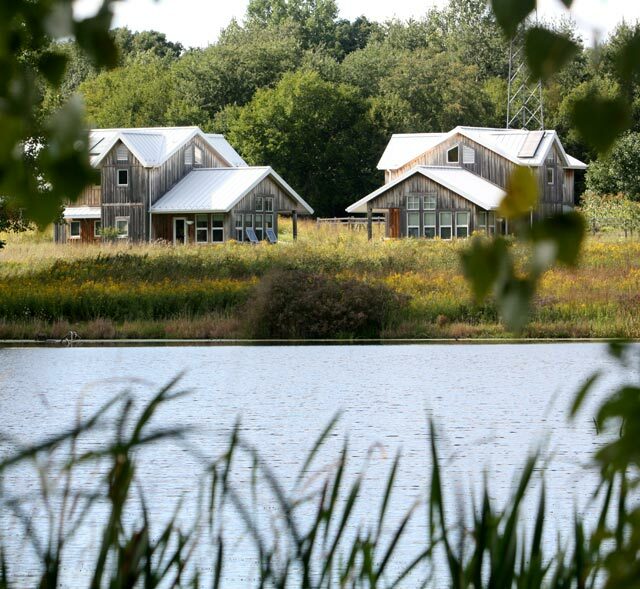 Green initiatives are a way of life at Goshen College, and the GC community embraces them with enthusiasm. In April 2007, President Jim Brenneman signed the American College & University Presidents Climate Commitment to drastically cut the college’s carbon footprint. Driving that goal home again in 2013, President Brenneman announced that the college would begin purchasing 100% of their electricity from renewable energy sources, such as wind and solar. In 2015 and 2016, the campus was named an official “Tree Campus USA” by the Arbor Day Foundation. Then in 2016, the college was given an honorable mention as a “Bike Friendly University” by the League of American Bicyclists. In keeping with the green theme, let’s talk about algae. Specifically, Algae Town. The goal behind the college’s Biology Department’s Algae Town research project is to find an easy and efficient way of growing algae, which can be harvested for use in biofuels, pharmaceuticals and food. 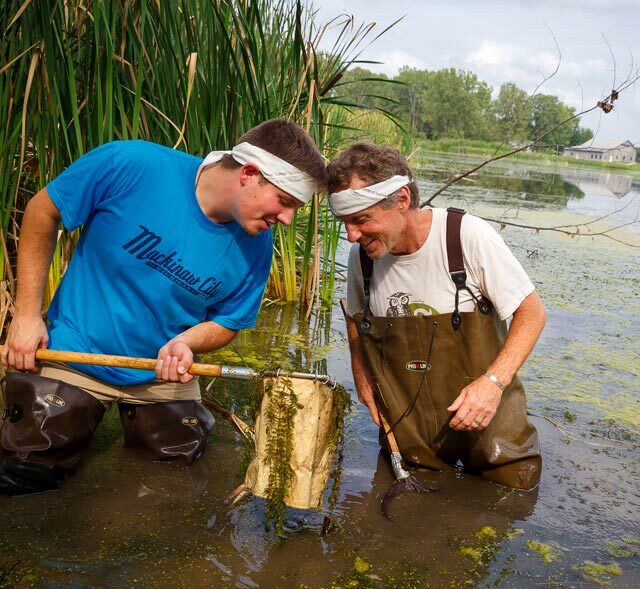 The project began in 2009 as the brainchild of Stan Grove, GC professor emeritus of biology, and Dave Slagel, the founder of Formco Inc. in Elkhart. The Algae Town project in the Science Hall makes use of photobioreactors, which are clear tanks equipped with phosphorescent lighting. The tanks contain gallons of green, algae-filled water, and are designed to encourage photosynthesis. Algae has worldwide potential –– and has garnered a significant amount of attention, even earning a mention in Wired Magazine. The problem of how to grow and harvest enough biomass of algae to make it a viable crop remains. But give it time, rest of the world. Goshen College is working on it. Since 2012, first-year students at Goshen College have been provided with iPads. That distribution is part of the GC iCore Technology Initiative. The primary goal behind iCore is to prepare students for a changing information environment in which mobile devices are taking the place personal computers and laptops as primary computing devices. Earning a college degree is typically a four-year process. But why stop there? There’s a master’s degree with your name on it (or at least there could be) and undergrad work at Goshen College will help set you on your way. The college’s growing graduate programs include a Master of Science in Nursing, Master of Arts in Environmental Education, and Master of Business Administration. 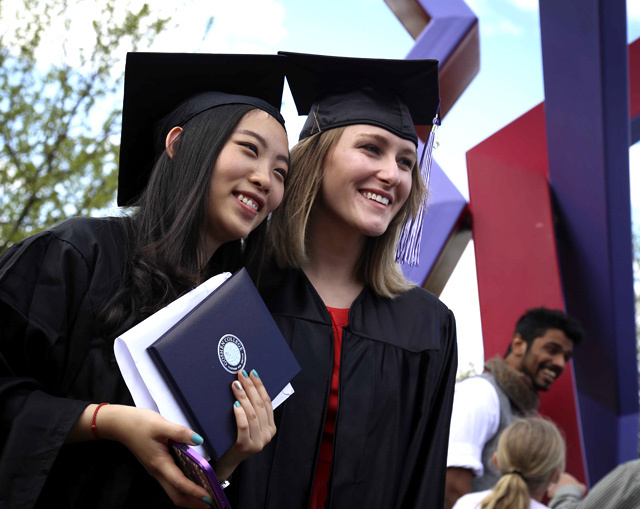 When enrollment is taken into account, Goshen College ranks second among public and private Indiana institutions in the number of graduates who go on to earn doctorates. Nationwide, GC ranks of 87th out of 262 baccalaureate institutions in doing so. Goshen College also offers Adult & Continuing Studies degrees for men and women seeking to further their careers. This list is only the beginning. Learn more about life at Goshen College and beyond in the videos and links below. How Does Goshen College Prepare Grads For Careers?